“Shared Innovation Program VoltaChem is an initiative founded by TNO and ECN which, together with partners, works on the electrification of the chemical industry,” explains Arend de Groot, who is responsible for the Power-2-Hydrogen program line within VoltaChem. Electrolyzer test station in Petten. Why complete tests together with VoltaChem? Why should high-tech component suppliers not directly test their materials with their (potential) clients: the electrolyser manufacturer? “That has to do with two factors,” explains Arend de Groot from VoltaChem. “First of all, the manufacturers know that the lifetime is the most important. Thus, they are only interested in components where the lifetime has already been demonstrated. Secondly, the design of the cell where the components need to fit into is often specific to the manufacturer. In that case, if you want to test a material that needs to be applicable in various types of electrolysers and want a consistent basis for comparing the results, then you would need to perform the testing through an independent platform which works according to the principle of open innovation. That is exactly what VoltaChem offers. A major advantage is that the component suppliers can use successful, standardized tests to have a good story when they approach their potential clients, the electrolyser manufacturers. This is thus a win-win situation for all those involved,” Arend de Groot says enthusiastically. Arend de Groot sees clear opportunities for the Dutch manufacturing industry to supply the high-tech components to the up and coming electrolyser industry: “Electrolyser manufacturers (such as Siemens, Hydrogenics, and ITM in Europe) put their efforts especially into the integration of the electrolyser stack in a complete system. Cell and stack developments are, for a significant part, carried out by the providers of key components, such as membranes, catalysts, and separator plates. In the end, the added value of the electrolyser sits predominantly in the functional elements which are supplied with it. 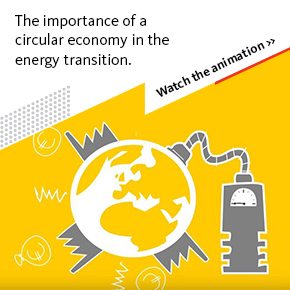 For this reason, it is interesting for the Netherlands, with a strong high-tech manufacturing industry, to position itself as a future provider. Replacement of the titanium plates between the electrolyser cells with other corrosion-resistant materials or smart composite solutions. Solutions to reduce the transport of gases (oxygen/hydrogen) through the polymer membrane, for example through the application of other (proton conducting) polymers or use of thin layers. Redesign of the usual titanium ‘current collector’ layer, which must have good electrical conduction properties, but at the same time hinders the transport of gas and liquid as little as possible. Alternatives for the expensive ruthenium/iridium catalysts which are used to split water into protons and oxygen. VoltaChem is looking for companies that have technologies in house which can improve the lifetime of components in electrolysers. These solutions can only be realized in practice through working together. 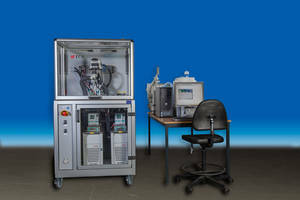 VoltaChem has the knowledge of the challenges in the electrolyser. You may have the solution. Arend de Groot would like to hear from you via our contact form.